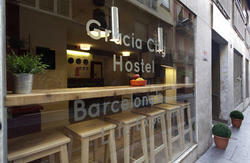 This brand new hostel is located at Barcelona's Gracia district, 4 minutes' walk from Joanic Metro station. It offers rooms for 4 persons (private) , and rooms for 8 persons (private, female or mixed), with air-conditioned and free Wi-Fi . 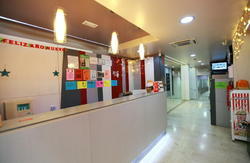 Dormitory rooms at Bedcelona Gracia Hostel are bright and feature minimalist decor. They include blue bunk beds and lockers to use with your own padlock or one rented at the hostel. Bathrooms are shared. The property offers to guests a full equipped kitchen (with fridge and microwave) to prepare meals and snacks. There is also a lounge (for eat, read a book , or change experiences with others travellers) with tables, chairs, laptops and a TV screen. Staff gives touristic information , and guests can buy tickets (Sagrada Familia, Barcelona Football Stadium, Montserrat, Casa Batllo, etc) at reception. Laundry facilities are available for a fee. 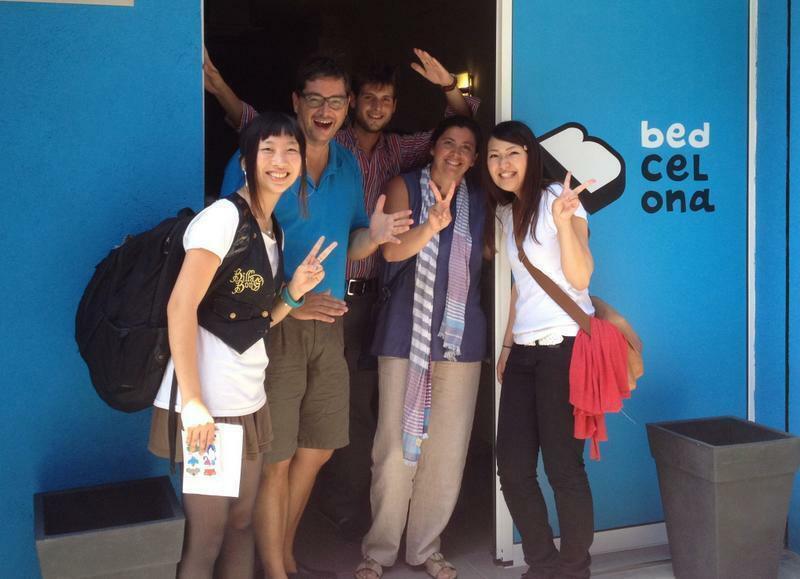 Bedcelona Gracia is 15 minutes walking from Gaudis Sagrada Familia and Park Guell. Buses to the centre, Franca Train Station and Barceloneta Beach stop less than 100 metres away, as well as night buses. Barcelona El Prat Airport is 25 minutes drive away. 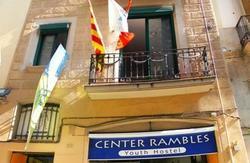 Bedcelona main hostel is Located in Gracia district, carrer Legalitat 17, 5 minutes walking from Joanic L4 yellow metro station, from metro station you walk Escorial street 4 crossings, turn left and you are in Legalitat street the chek- it is in the n 17.